I admit, I’m more gardener than cook, although growing foods, and preparing them for the table, often go hand-in-hand. But I had to rise to the challenge–as much as I’m able—when one of our wonderful Garden2Blog 2013 sponsors, Le Creuset, sent each gardener attending this year’s event a Round French Oven. They asked that we whip up something yummy and post the recipe and pictures. I chose a berry cobbler, since I can’t pass for a seasoned chef, and anyway, I don’t usually make elaborate dishes (no time, when the beans are ready for picking and the squash are out of control! That’s when hubs hits the kitchen to slide a pan of cornbread batter into the oven and fry up a plate of sliced green tomatoes). You can make this with a single kind of berries, such as blackberries, or a combination of raspberries, strawberries, blackberries, and blueberries. It would also be yummy with sliced peaches. Just go for fresh fruits, if you can find them–but frozen fruits are fine, too. 1. 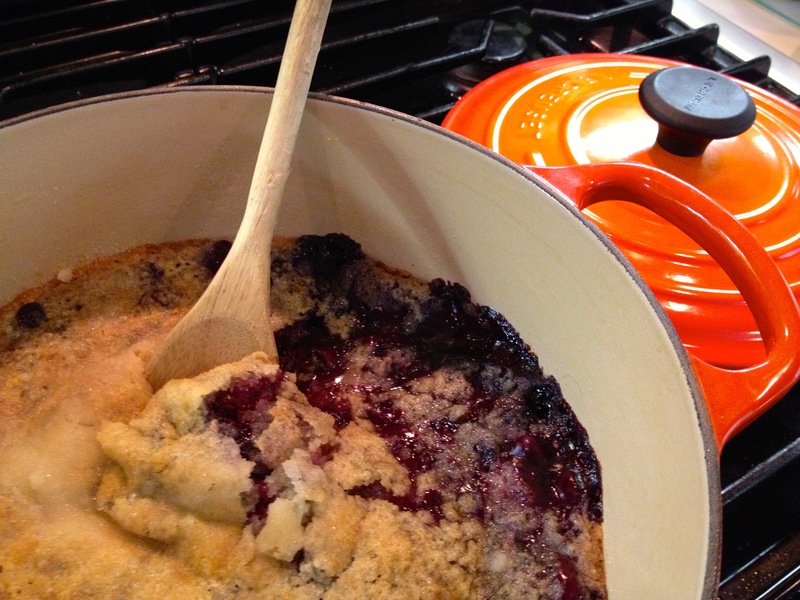 Grease your Le Creuset baking dish with butter, and preheat the oven to 350 degrees F.
2. Melt the stick of butter in a microwave-safe dish for about 30-45 seconds. Set aside to cool. 3. 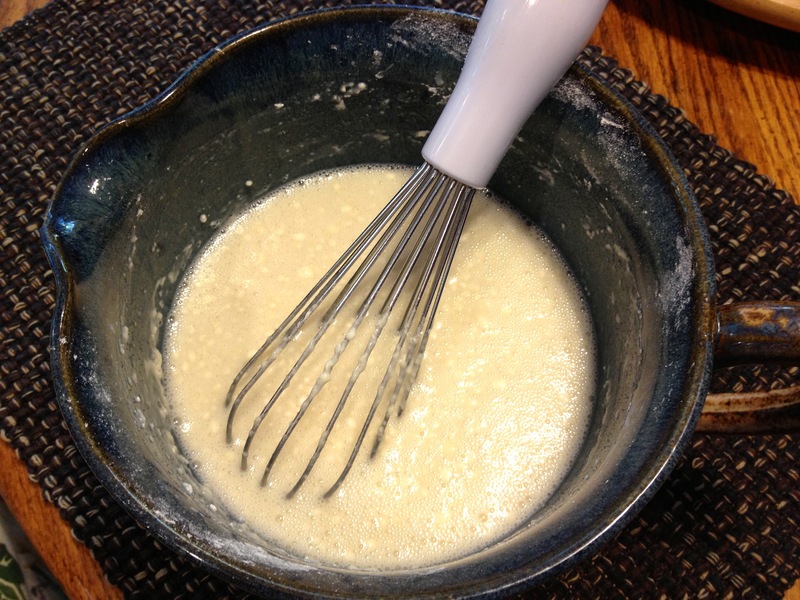 Whisk 1 cup of the sugar with the milk and flour. 5. 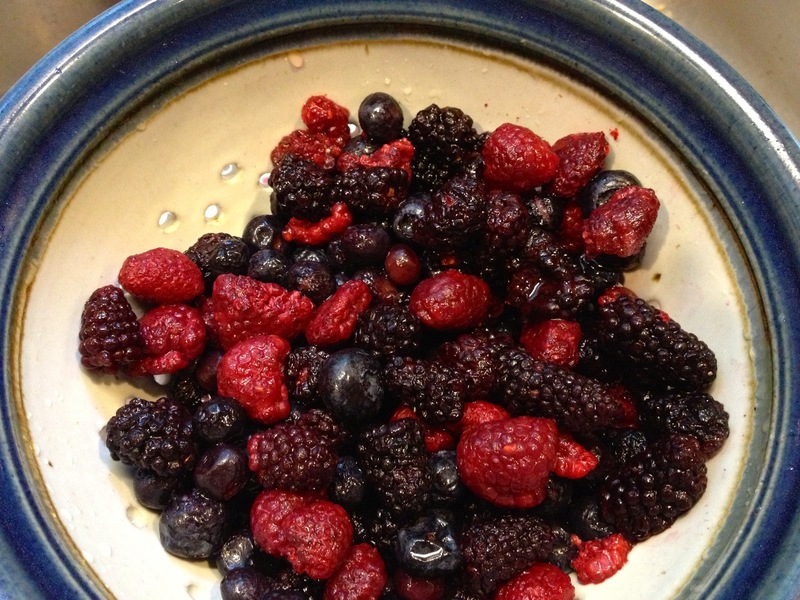 Rinse your berries or other fruits and pat them dry. 6. 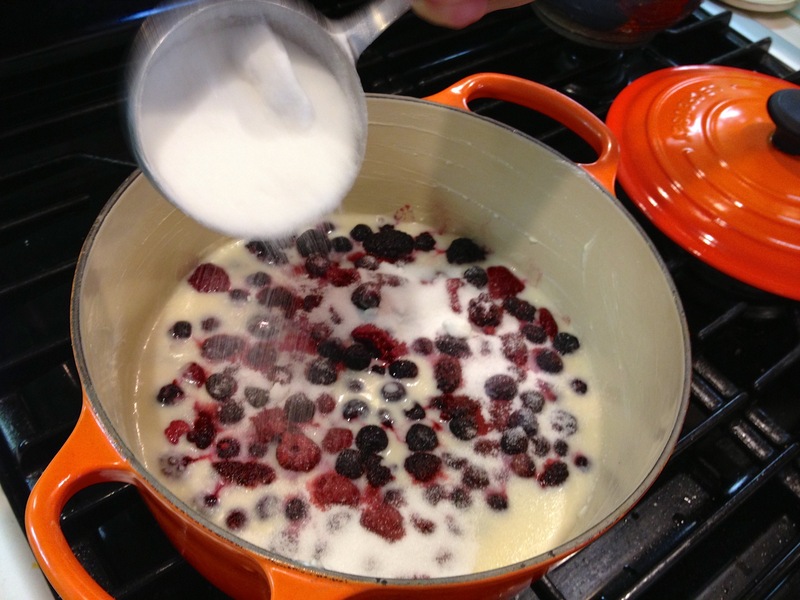 Pour the batter into the baking dish and sprinkle in the berries or sliced peaches. Sprinkle 1/4 c. of sugar over everything. Cool and serve with vanilla ice cream or whipped cream. Resist the urge for seconds and thirds!